Don't Lose Your Mind Lose Your Weight, by Rujuta Diwekar, teaches you how to lose weight without giving up all your favorite foods. No crash dieting, no carbohydrate deprivation, no unbidden cravings. Losing weight doesn't mean having to go hungry. Losing weight is not as much about WHAT to eat, as it is about HOW MUCH to eat and WHEN to eat. And that, in a nutshell, is what this book is all about. I bought this book a couple of years ago, because it was highly recommended by a few people I know personally. I was not so impressed by it. First of all, the language in the book was too 'Mumbaiya' for my taste. Perhaps, this kind of over-casual tone appeals to some readers. It was a turn-off for me. Secondly, the author keeps throwing in names of her high-profile clients to impress/dazzle the readers. Frankly, I don't care. I bought the book to learn about losing weight in a healthy manner, not to read up on her impressive resume. This obvious attempt at flaunting was quite irritating. Coming now to the actual content of Don't Lose Your Mind Lose Your Weight... the information for which people buy this book... well, I didn't find anything new to take home. The facts/concepts presented by the author are the same ones that you keep seeing off and on in newspapers and weight-loss sites on the internet... eat shorter meals, eat more frequent meals, don't skip breakfast, eat light dinner, etc. In short, very generalized knowledge. No life-changing philosophy, at least not for me. Some of it was pretty good advice - like crash diets do more harm than good, so do carb-less diets, and that we should stick to what we've been eating during our growing-up years because our digestive systems are familiar with processing those foods. Rujuta also highlighted the psychosomatic causes of weight gain - stress and lack of self-love. 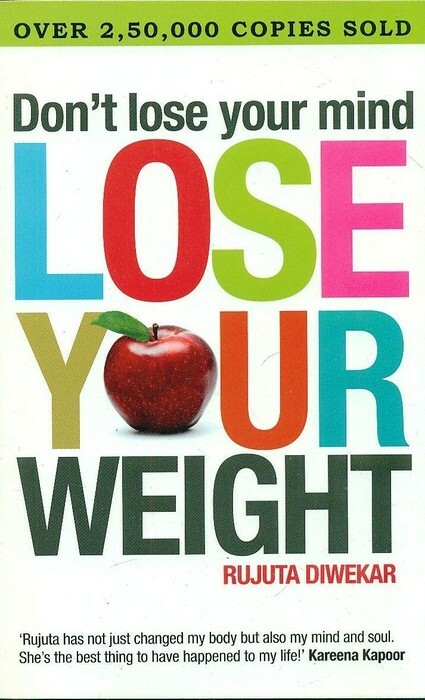 However, some of the advice given in Don't Lose Your Mind Lose Your Weight was not very practical. For example, eating every 2 hours. Not everybody will be able to do that. It would mean that you spend practically the entire day preparing and then eating your meals! Also, the few sample menus she has outlined in the book will require a full-time cook, but all of us are not "Page 3 celebrities" like her high-profile clients! The best that a common man can do perhaps is split his usual 3 meals into 6, i.e. divide the same meal in two sittings instead of just one. One really good advice in the book is to "cook you own meals". Fry your own chips, have an aloo-ka-paratha instead of a ready-made burger from McDs, go for those home-made fried suhalis and mathris instead of the packed cookies & biscuits, and the halwa or kheer in place of ready-to-eat pastries and doughnuts! One - you'll probably be too lazy, most of the time, to do so much cooking that you'll decide to go without them! Two - in case you do feel up to all that cooking, at least you'll end up burning some of those calories! LOL! My rating: 3 out of 5. 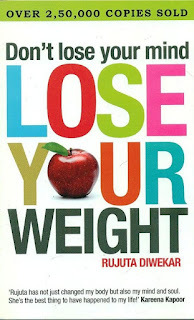 Don't Lose Your Mind Lose Your Weight, by Rujuta Diwekar, is an over-hyped book. Just a good compilation of basic common sense regarding nutrition. Nothing new really, but it is all in one place, and does save you the internet research time. I would say: go for it, but don't expect to be spoon-fed. Try to get the basic under-lying principles beneath all those fancy frills in the book. Reiki is a very simple technique when it comes to application. There is no intellectual process involved in learning it. Thus, even children can learn it. Learning Reiki consists of receiving attunements from recognized Reiki Grandmasters who have been trained in Dr. Usui's method. In Usui Reiki, the teaching process involves several steps, which are now known as 'Degrees'. The First Degree will enable you to transfer Reiki to yourself and others by "touch-therapy", that is, by placing your hands on the recipient's affected area. It can usually be learned in a full-day class, where the student receives a permanent attunement to the Reiki energy. Some Reiki teachers prefer to conduct this class over 2 consecutive days instead of one. Anybody aged 8 years or above is eligible. The Second Degree Reiki grants you greater flexibility, while increasing the effectiveness of treatment to a considerable extent. It also enables you to send treatments across distances now (absentee healing). You are taught the three Usui Reiki Symbols in this 2-days workshop. You must have completed 21 days after the First Degree to be eligible. Then comes the A.R.T. 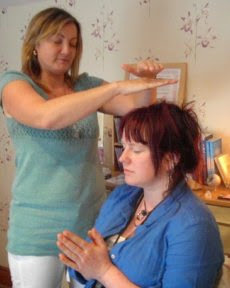 (Advanced Reiki Training) Degree of Reiki, commonly known as Level 3A. The effectiveness of Reiki healings increases many times over after receiving this Degree. You also learn the Usui Reiki Master Symbol. You must have completed at least 6 months after the Second Degree to be eligible. After these three Reiki Healer levels, there are two Reiki Teacher levels. Reiki Master/Teacher Level, after which you will be able to give First & Second Degree attunements. Attaining this level is upon the sole discretion of the Reiki Teacher. 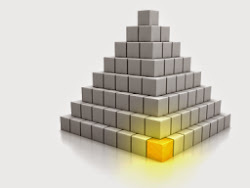 Candidates are initiated only on the basis of their aptitude and energy levels. Reiki Grandmaster Level, after which you will be able to initiate other Reiki Masters and Grandmasters. Once again, attaining this level is also upon the sole discretion of the Reiki Teacher. Candidates are initiated only on the basis of their aptitude and energy levels. Some Reiki teachers prefer to combine these two Mastership levels into a single Grandmaster Level. Both are okay. It must be noted here that Reiki is not affiliated to any particular religion. Nor does it require belief in the Reiki system to be effective. It is available to anyone who wishes to learn it. Also, Reiki cannot be learnt by books or CDs or DVDs. People interested in learning this ancient art of healing must get "initiated" into the Reiki system, by going through the series of attunements as outlined above. Over the years, I have read many training manuals and books on Reiki, both in print and as pdfs. Practical Approach To Reiki, by Chetan Chhugani, is perhaps the simplest reading material I've come across on this subject. A pocket book (sized roughly 4 inches by 5 inches) with 159 pages, it is the most concise, yet comprehensive, Reiki manual... from Usui Reiki 1 to 3B (Teachership). My Reiki teacher in Jaipur had a photocopy of this book that she gave me to read and copy, if I liked it. She had got that photocopy from someone long time ago and had no idea where she could buy it. She had been giving it to all of her students to make copies, 'coz it's such a good book. By the time I received her copy, it was in a badly tattered state with a couple of pages missing. I was really disappointed 'coz the book has some very useful information presented in very clear and concise manner. Just for the heck of it, I decided to look it up on flipkart... and I found it! And only for Rs. 50! Getting it photocopied would have cost me 40 bucks! I immediately called up my Reiki teacher and asked her if I should order one for her too. She said yes. Eventually, I've bought 4 copies of this book from flipkart so far (for different people). 5. Expression (of ideas and emotions). 7. Spirituality (intuition, guidance, belief in some divine energy). These are the seven general categories that our life is made up of. ... or the seven main life issues, each governed by one of the seven main chakras in the human body. To keep our body healthy, we not only need to feed it with food, water and oxygen but also with emotional energy. A block in a chakra means nothing but that because of some reason, there is no healthy exchange of energy through this chakra. Can you make it any more simpler than that? I've read huge books on chakras, but never came across such a clear and simple explanation of how they get blocked in the first place! My rating: 4.5 out of 5. Practical Approach To Reiki, by Chetan Chhugani, contains no hocus-focus about Reiki. 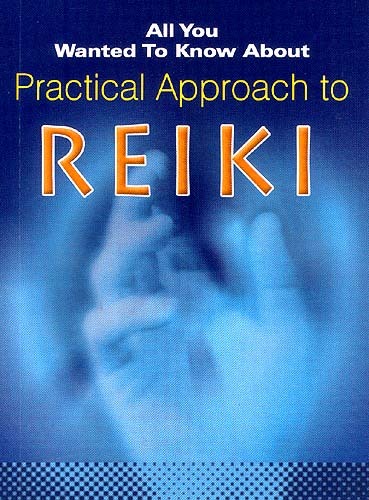 As the name of the book says, it really is a practical approach to Reiki. I will highly recommend this book to all Reiki initiates. In fact, I would even recommend Reiki teachers to give this book to their students as the official 'Reiki manual' with their course! New Reiki healers often have a lot of questions regarding what to do and what not to do in their Reiki sessions. In this article, I have discussed the 4 main concepts in Reiki that every new Reiki initiate/healer must remember. These 4 concepts are the cornerstones of the Reiki system of healing. If we remember them, then we will also be able to answer many other questions that creep into our minds as we continue with out Reiki practice. Reiki can never do damage in any way. There can never be an "overdose" of Reiki, since it only flows in the quantities necessary for the recipient. You can never use Reiki for any harmful intent, because Reiki is wise energy. It knows and works for the highest good of the recipient. Reiki is able to find its own way to the area in need of treatment or healing, in the recipient's body. So you don't need to have knowledge of the human physiological/biological system in order to give Reiki treatments. Reiki is NEVER GIVEN - it is ALWAYS DRAWN. The recipient’s body decides how much energy it needs at that time, and draws only that much amount of energy. If it doesn't need Reiki, it doesn't draw any. Reiki is not only "curative" in nature, but also "preventive". So you don't need to wait for things to go wrong before you can start doing Reiki. Once you grasp these four basic concepts of Reiki, a lot of Reiki myths will dissolve and a lot of doubts regarding how to use Reiki will disappear. These four basic concepts of Reiki are applied in every Reiki session, be it a hands-on session or remote healing session. Absorbing these four concepts of Reiki fully in your Reiki practice will make you a more confident Reiki healer. I gave him the first session on 9th June (as recorded previously). He responded very well to that session, and apparently had a more peaceful sleep that night than usual. My friends asked me to give another session in the morning, which went as well as the first one. 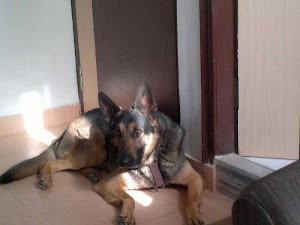 I gave 2 more Reiki sessions to him, on 10th night and 11th morning. He started eating a little bit then, but wasn't able to walk properly. I was told that he had acute pain in his hind legs and would not let anyone touch him near his tail. I was also told that he was sweating a lot and preferred to sit right in front of the air conditioner. Anyway, I'm not a medical person. So I cannot "diagnose" a client. Besides, on the 11th, they had to take him to the vet again, for the results of the blood test that had been conducted the other day (mentioned in the previous post). The vet told them that day that his legs were getting paralyzed gradually. Now that was something I had not expected. Paralysis was a big thing. Infections are different. Paralysis would have required a much longer treatment - continued Reiki sessions every day, for many days. I was not giving Reiki treatments professionally at that time. In the sense that I was not taking any money for the sessions. The "energy exchange", that is required in Reiki, was happening only in kind (gifts/books etc.). So I was not in a position to commit to prolonged daily sessions. I, therefore, referred my friends to a professional Reiki healer in my city then. I did not give any further Reiki to their dog after those 4 sessions. 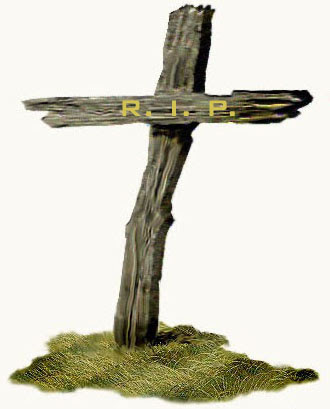 I later learned that Bruno passed away on the 25th of June. German Shepherd is my dream dog. If I were to own a dog ever, I'd like to have a German Shepherd. So when these 2 new friends told me today about their German Shepherd (Bruno) being so sick, I couldn't resist offering some Reiki for their dog. People are so skeptical about alternate healing systems that I normally don't even mention that I am a Reiki channel, especially to those I'm not well acquainted with. But when it comes to plants, animals, birds and babies, I make an exception. And this was a German Shepherd... who has been sick for about a month now, and from what they told me, it seemed a bit serious. They weren't very coherent and I am not a medical person. So the only things that registered were "106 degrees recurring fever", "1 month", and some sort of "fit" earlier today, in which "his heart stopped beating" and "tongue lolled out". But as they were at the vet's car parking when that "fit" happened (just returning from a blood test), he immediately received medical help and his heartbeat was restored. Based on that description, I came to the conclusion that perhaps he was seriously ill. So I tentatively offered Reiki. They were desperate and were ready to try anything. Bruno had been unable to eat on his own during the last month. They had been feeding him by hand, and even then, he was very reluctant to eat. His legs were weak, he was unable to put his weight on them, and he had pain/discomfort in the tailbone area. After today's Reiki session, he just got up on his own and and ate his food... ALL of it. Then he asked to be taken out, walking more steadily than before, and passed watery stool. I have asked them to tell me tomorrow about his sleep tonight. Will be giving him another Reiki session in the morning.